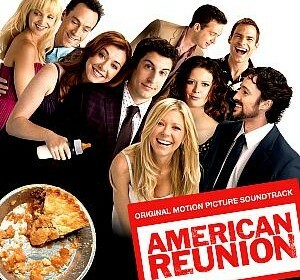 Stories Of A Happy Mom: Movie review: "American Reunion"
Let's face it, "American Pie" made everyone laugh at some point.. even if it was just a little..the silly humor and stupid jokes were somewhat funny.. In the movie, all of the main characters have grown and evolved into adults who actually have lives and responsibilities... some of them are even married and have kids now..
All in all, I'd give this movie 2 out of 5 stars and if I could go back in time, I'd probably save the $10 I spent on the movie ticket! So, in other words, wait until this movie comes out on TV!